his career that art writing was germane to art reception, Alkazi edited a journal for four decades from 1977 onwards; its early years coinciding with the politically tumultuous period of the Emergency. Featuring essays by and conversations with leading practitioners and art historians, Directing Art places Alkazi’s contribution within a historical as well as critical context. While Amal Allana reveals Alkazi’s twin passion for modern theatre and art through a familial narrative, Yashodhara Dalmia underlines his contribution to the public reception for modern art. Focusing on Bombay, Shukla Sawant looks beyond the English speaking elite audience, towards the vernacular one which continued to underpin Alkazi’s understanding of the community at large. Devika Singh revisits the post-Independence Indian art scene to contextualize the emergence of Art Heritage and Akansha Rastogi explores the history of art exhibitions curated by Alkazi through the trope of a ‘ghost’ exhibition. Following Parul Dave-Mukherji’s revealing interview with eminent artist and Alkazi’s long-standing friend, K.G. Subramanyam, in conclusion, Partha Mitter re ects on the latter’s role as an art patron. Richly illustrated with select artworks from the Alkazi Collection, this volume is the rst of a growing series and provides a critical context for the publication of art writings and exhibitions shown at Art Heritage. 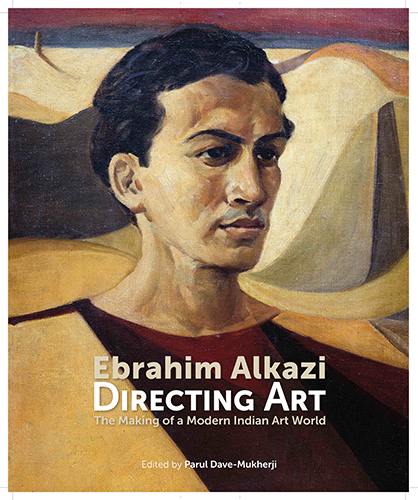 A chronicle of the remarkable life and work of Ebrahim Alkazi, Directing Art hence provides an invaluable education in Indian art through its contextual analysis of the modern and contemporary.